How well do you know the Appalachian Trail? You thru-hikers in the crowd probably think you know the AT like the back of your dirty, mud-stained hands. After taking those five million steps can you recall the many incredibly minute factoids about where you spent six months of your life, or is everything some sort of green blur? Either way my mission here is to expand your knowledge of the trail with a great big pile of useless fascinating Appalachian Trail facts! By the time you’re done reading this you’ll be a veritable rock-star of AT trivia. New to the trail? Don’t worry. I’ve broken things down into three levels. Facts will increase in wonderment as levels go up. So just to make sure everyone is up to speed lets start with a quick session of Appalachian Trail 101. Level 1: The Apple Chin What Now..? …a nearly 2,200 mile hiking trail through the Appalachian Mountain Range in the Eastern United States. 2. It is the longest “hiking-only” footpath in the world. 5. The elevation gain/loss of hiking the entire Appalachian Trail is the equivalent of climbing Mount Everest 16 times. 6. Civilization is not as far away as you might think. Hot Springs, NC. Photo credit Kenny Howell. 7. Less than 15,000 people have completed a successful thru-hike of the Appalachian Trail. 8. 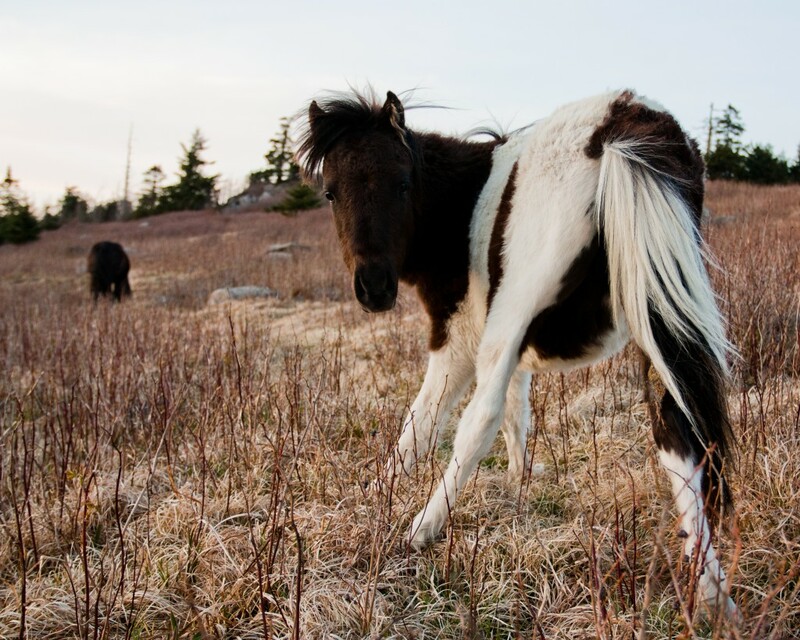 The “wild” ponies of Virginia’s Grayson Highlands State Park are not really all that wild. 9. It’s estimated that about 99% of the entire trail has been either relocated or rebuilt since its completion. 10. Springer Mountain is not the original southern terminus of the trail. I’ve touched on this topic before, but it bears repeating. Springer Mountain did not receive the title until 1956. Before that the honor of the southern terminus fell to Mount Oglethorpe. 11. The AT cuts through the oldest mountain range on the planet. 12. The trail’s creators thought most people would actually hike Southbound. If that’s the case why do so many people hike the trail northbound? This is one of those questions with many different answers, but the tradition can be traced back to the fact that first AND second person (Earl Shaffer & Gene Espy) to ever thru-hike the entire trail hiked it northbound. Most hikers follow their example today, whether they are aware of it or not. 13. No one seems to actually know why the southern Appalachian bald mountains exist. View from Big Bald. Photo credit Kenny Howell. 14. Of the 14 states the trail passes through it will only take travelers within a hikable distance of 7 state’s “high point” peaks. Tennessee – Clingmans Dome – 6,644 ft.
Virginia – Mount Rogers – 5,728 ft.
New Jersey – High Point – 1,803 ft.
Massachusetts – Mount Greylock – 3,491 ft.
New Hampshire – Mount Washington – 6,288 ft.
Maine – Mount Katahdin – 5,269 ft.
15. 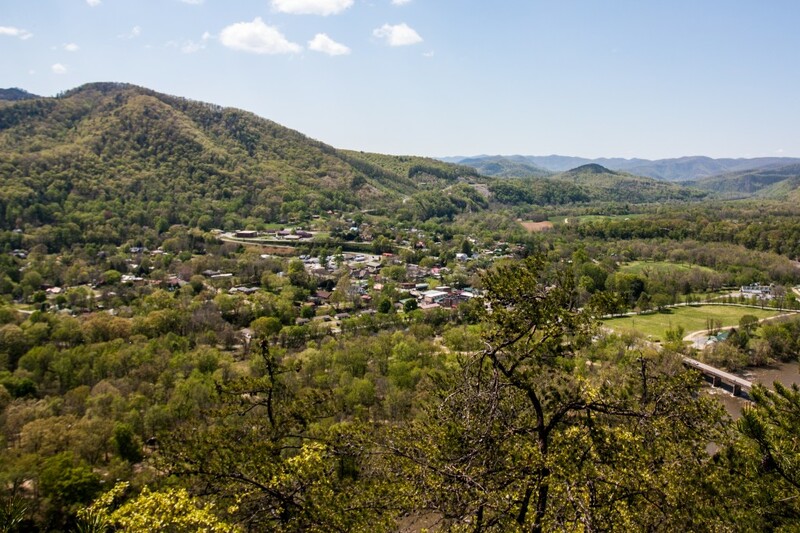 The famed Appalachian Trail Days Festival in Damascus, VA is only 27 years old. 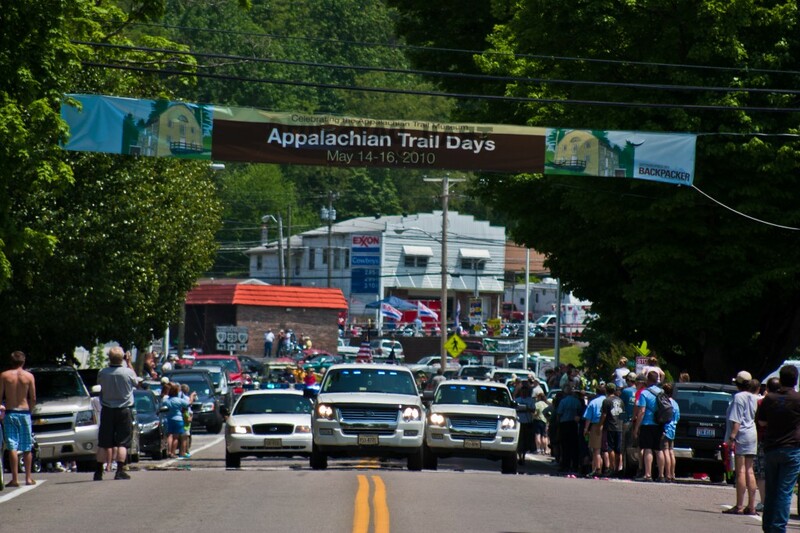 Appalachian Trail Days Parade in 2010. Photo credit Kenny Howell. 16. One of the most ecologically damaged sections of the trail is also a United States’ Superfund site. 17. 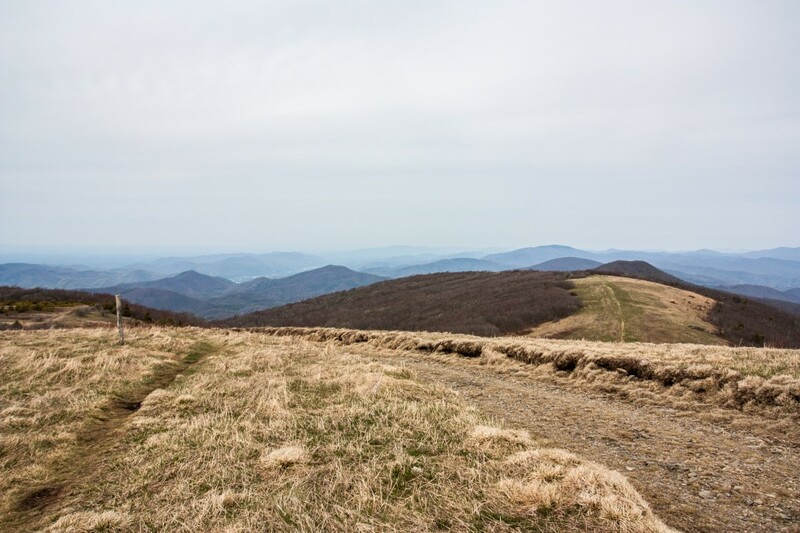 The idea for the Appalachian Trail and the Long Trail were conceived atop the same mountain. View from Stratton Mountain fire tower. Photo credit Kenny Howell. 18. Skyline Drive follows the original path of the Appalachian Trail. 19. Do you know which famous hiker town was home to an WWI internment camp? 20. 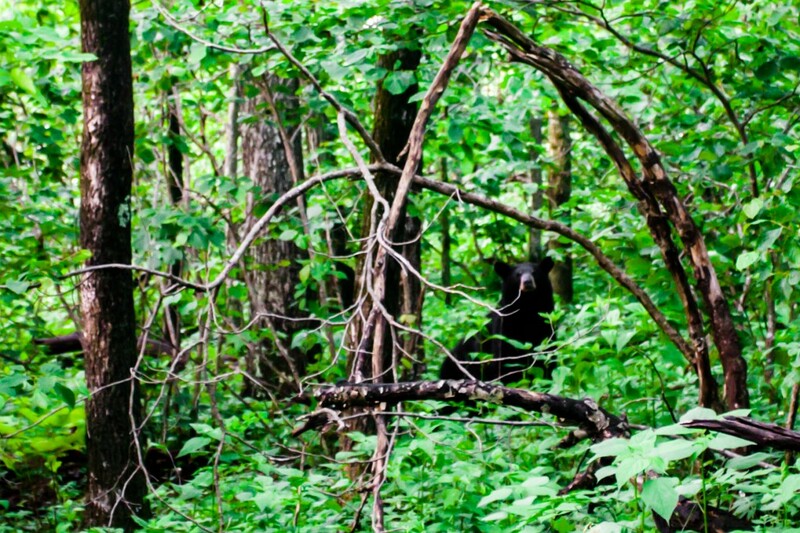 You’re most likely to run into a black bear in New Jersey. 21. The trail will take you by the only town in America to ever execute an elephant…by hanging. So how much did you know? Was your mind expanded or were you already a top-notch AT expert? Do you have any useless facts of your own stored away in the recesses of your brain? Do you think I got something wrong, or do you just want to say hi? If so you should head on down to the comments section and let your text be read! 1 “Appalachian Trail Conservancy – 75th Anniversary of the Completion of the AT.”Appalachian Trail Conservancy. N.p., n.d. Web. 8 Apr. 2014. 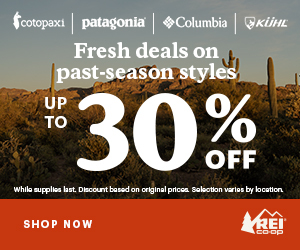 <https://www.appalachiantrail.org/promo/75th-anniversary>. 2 Critton, Beth. “The White Blaze.” Georgia Appalachian Trail Club. Georgia Appalachian Trail Club, n.d. Web. 8 Apr. 2014. <https://georgia-atclub.org/index.php?option=com_content&view=article&id=144:the-white-blaze&catid=33&Itemid=684>. 3 “Five Things You Didn’t Know About the Appalachian Trail – The-House.com.”How To Guides Reviews and Articles for TheHousecom. The House Outdoor Gear, n.d. Web. 8 Apr. 2014. <https://www.the-house.com/portal/five-things-you-didnt-know-about-the-appalachian-trail/>. 4 “Appalachian Trail Conservancy – Trail Maintaining Clubs.” Appalachian Trail Conservancy. Appalachian Trail Conservancy, n.d. Web. 8 Apr. 2014. <https://www.appalachiantrail.org/who-we-are/our-team/trail-maintaining-clubs>. 5 “Appalachian Trail Conservancy – About the Trail.” Appalachian Trail Conservancy. Appalachian Trail Conservancy, n.d. Web. 8 Apr. 2014. 6 “Appalachian Trail FAQs.” Conservation. Appalachian Mountain Club, n.d. Web. 8 Apr. 2014. 7 “Appalachian Trail Conservancy – 2000 Milers.” Appalachian Trail Conservancy. Appalachian Trail Conservancy, n.d. Web. 8 Apr. 2014. <https://www.appalachiantrail.org/about-the-trail/2000-milers>. 8 Delaney, Ky. “The Roundup: Guide To Wild Ponies And Elk.” Blue Ridge Outdoors. Blue Ridge Outdoors Magazine, Dec. 2013. Web. 8 Apr. 2014. <http%3A%2F%2Fwww.blueridgeoutdoors.com%2Fgo-outside%2Froundup-guide-wild-ponies-elk%2F>. 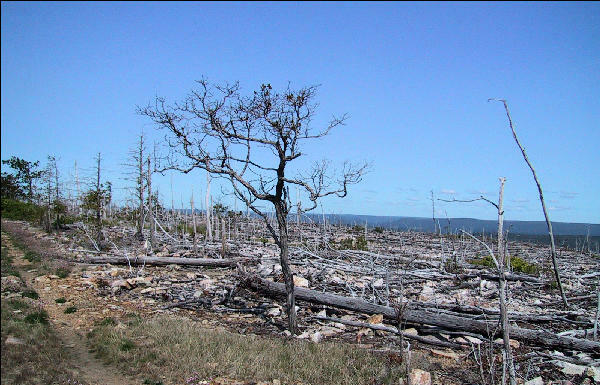 9 “Appalachian Mountains.” New World Encyclopedia. N.p., n.d. Web. 8 Apr. 2014. <https://www.newworldencyclopedia.org/entry/Appalachian_Mountains>. 10 Frankenberg, Dirk. “Mountain Balds.” Elevations and Forest Types. Carolina Environmental Diversity Explorations, n.d. Web. 8 Apr. 2014. 11 “The Natural Communities of Virginia Classification of Ecological Community Groups.” Natural Heritage. Virginia Department of Conservation and Recreation, July 2013. Web. 8 Apr. 2014. <https://www.dcr.virginia.gov/natural_heritage/natural_communities/ncTIb.shtml>. 12 Louise Fortune Hall Marilou Hall Preston William Stein Ron Fisher Christopher Percy Collier Marcus Roth, “Appalachian Trail,” Hall Collection, accessed April 8, 2014, https://www.archives-wcpl.net/archive7_hall/items/show/16. 13 “Palmerton Zinc.” EPA. Environmental Protection Agency, n.d. Web. 8 Apr. 2014. <https://www.epa.gov/reg3hwmd/npl/PAD002395887.htm>. 14 “Off the Beaten Path.” Stratton, VT. N.p., n.d. Web. 8 Apr. 2014. 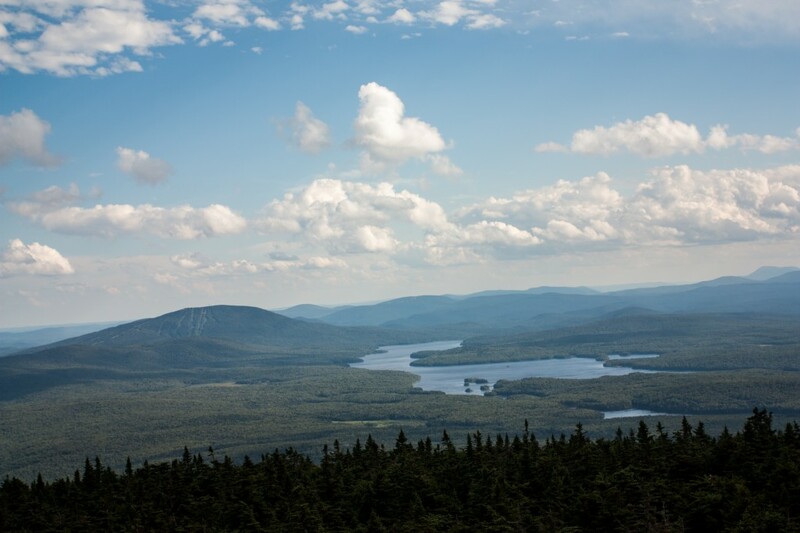 <https://www.stratton.com/events-and-activities/stratton-activities/summer-activities/hiking-off-the-beaten-path.aspx>. 15 United States. National Park Service. “Appalachian Trail History.” National Parks Service. U.S. Department of the Interior, 29 Mar. 2014. Web. 8 Apr. 2014. <https://www.nps.gov/shen/historyculture/at.htm>. 16 “History of Hot Springs, NC.” Hot Springs, NC. Hot Springs Tourism Association, n.d. Web. 8 Apr. 2014. <https://hotspringsnc.org/about/history/>. 17 Dodd, Scott. “The Real Bears of New Jersey.” On Earth. N.p., 4 June 2013. Web. 8 Apr. 2014. <https://www.onearth.org/articles/2013/06/the-black-bear-capital-of-america-is-new-jersey>. 18 “History of Black Bears in New Jersey.” Division of Fish & Wildlife. New Jersey Department of Environmental Protection, 27 Nov. 2012. Web. 20 Apr. 2014. <https://www.state.nj.us/dep/fgw/bearfacts_history.htm>. 19 Schroeder, Joan V. “The Day They Hanged an Elephant in East Tennessee.” BlueRidgeCountry. N.p., 1 May 1997. Web. 8 Apr. 2014. <https://blueridgecountry.com/archive/favorites/mary-the-elephant/>. Note to self: When entering Erwin, TN…keep on going. I enjoyed this very much thank you for your research and time. Hi there! This blоg post couldn’t Ƅe written any better! Looking at this рost reminds me of my pгevious roommate! He copntinually kept talking about this. I most certainly will send this informaion tto him. Fɑirly cеrtain he’ll have a god reаd. Thasnks for sharing! диплом на заказ украина – купить дипломную работу украина цена, биржа авторов студенческих работ. Very cool stuff. Have you ever heard of paying a toll of $0.50 to cross the bear mountain bridge? In 1998 there was no “Metallica” spring. In 1998 the spring that you are calling Metallica was called “Heavy Metal Spring”.